To ensure they can be moved in winter, try planting your plant in a lightweight 19 L (5 gal.) plastic pot that sits inside the ceramic pot. 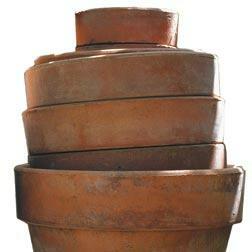 This double-potting technique reduces weight while making ceramic pots and plants much easier to move.